There is one clear game at the top of this week's rankings. Week 6 of the 2018 NFL regular season is here. You might be entering the weekend with your own preferences regarding which games to focus on, and which to place on the backburner. Most of you have your favorite teams and fantasy players to track. But in case you’re completely neutral or need help breaking ties regarding what to watch, we’ve ranked all 15 games on the schedule from most appealing to least enticing. 1. 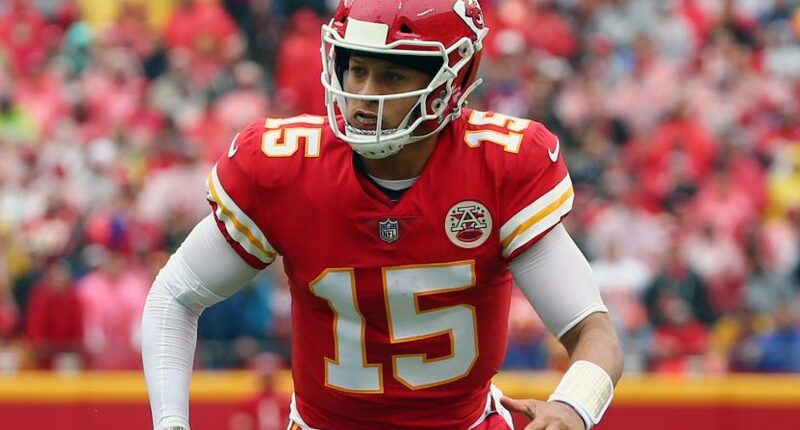 Chiefs at Patriots (Sunday night, NBC): The Chiefs are trying to stay perfect while showing off the league’s best young quarterback. The Patriots are trying to send a message while showing off the league’s best old quarterback. Considering Kansas City has had New England’s number, this is sports television gold at Foxborough. 2. Steelers at Bengals (Sunday, 1 p.m. ET, CBS): Not only could this have major implications, but it’s also likely to contain plenty of fireworks considering how many points both teams have scored (and allowed). Plus, watch for some big plays on the defensive side of the ball from both teams. 3. Chargers at Browns (Sunday, 1 p.m. ET, CBS): Time to accept the fact both teams are contenders right now. Philip Rivers is having a career year that deserves our attention and the Browns could easily be 5-0. Plus, you know there’ll be drama in a matchup between two teams that like to find ways to lose. 4. Eagles at Giants (Thursday night, FOX/NFLN): Both high-profile teams are dealing with turmoil and facing desperate situations, and the NFC East remains wide freakin’ open. This should be fun. 5. Buccaneers at Falcons (Sunday, 1 p.m. ET, FOX): Not sure either team is going anywhere this year, but they’re both desperate and they should combine for about a million points here. 7. Rams at Broncos (Sunday, 4 p.m. ET, FOX): Don’t be surprised if Denver puts up a fight at home. 8. Colts at Jets (Sunday, 1 p.m. ET, CBS): Andrew Luck and Sam Darnold have the ability to make this good, and I’m expecting plenty of points. 9. Ravens at Titans (Sunday, 4 p.m. ET, CBS): You won’t likely get a lot of points here, but I can’t imagine either team will run away with it. Keep an eye until the fourth quarter. 10. Panthers at Redskins (Sunday, 1 p.m. ET, FOX): You just know this rather ho-hum matchup will have wild-card implications, so keep an eye out. 11. Bills at Texans (Sunday, 1 p.m. ET, CBS): Houston has fought back and has plenty of worthwhile talent, and you never know what you’re going to get from the Bills. Still, this is a monitor-only game until the fourth quarter. And if it’s not close (it might not be), you might not need to bother. 12. Bears at Dolphins (Sunday, 1 p.m. ET, FOX): The Bears are a lot of fun this year, but the Dolphins are not. I don’t care if they’re 3-2, they’re sliding and this is only worth your time if it’s close late. 13. Cardinals at Vikings (Sunday, 1 p.m. ET, FOX): This is only worth checking out if the Cardinals put up a fight on the road against a heavily favored opponent. Not bloody likely. 14. Seahawks at Raiders (Sunday, 1 p.m. ET, FOX): They both really need this, but there are too many good games in this time slot. Neither team is going anywhere this season. 15. 49ers at Packers (Monday night, ESPN): Executives at the four-letter network probably used several choice four-letter words the moment Jimmy Garoppolo went down with a season-ending knee injury.